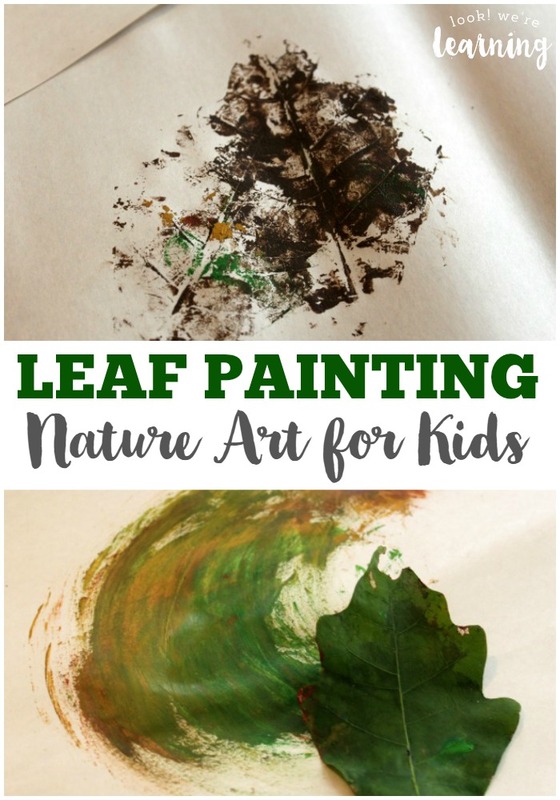 Leaf Painting for Kids - Look! We're Learning! I’m so excited to be participating in this year’s Paint-A-Thon sharing fun painting ideas for kids! 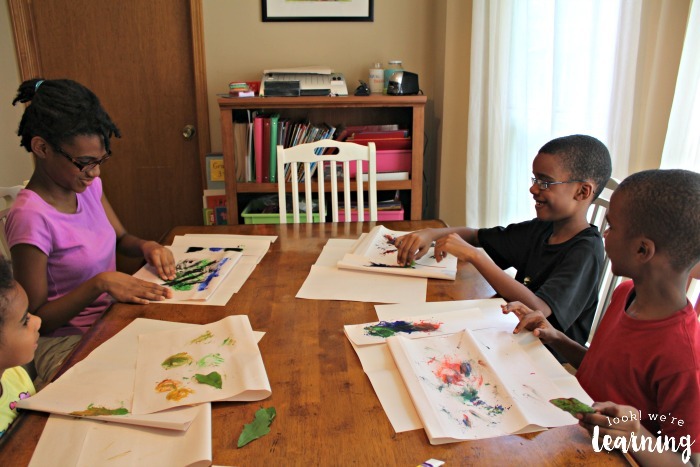 In our family, we absolutely adore fall, so I thought “Why not paint with tree leaves?” And that’s what we did! Unfortunately, it’s late summer in Georgia, which means we’re not going to have autumn-colored leaves for some time. 🙂 But we got out some paint, including fall-themed colors, and started up anyway! 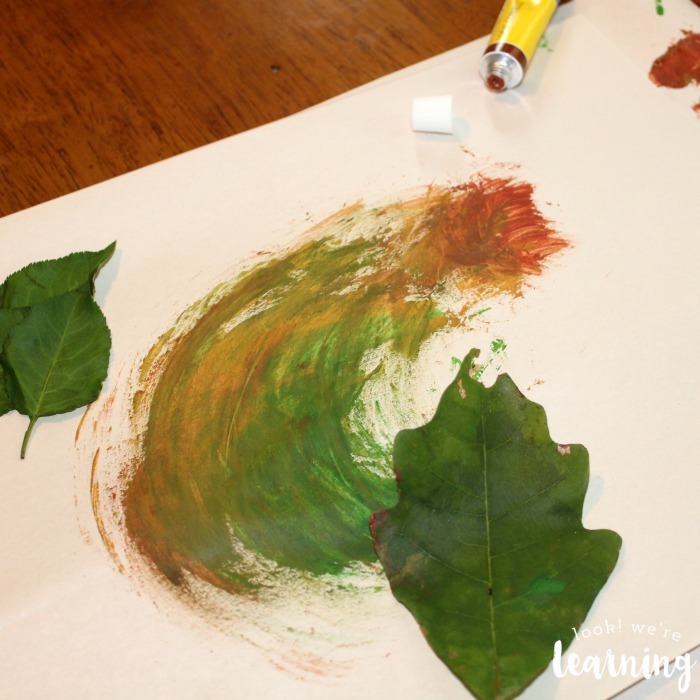 Take a look at our easy nature art project: leaf painting for kids! Want some more fall activities for kids? 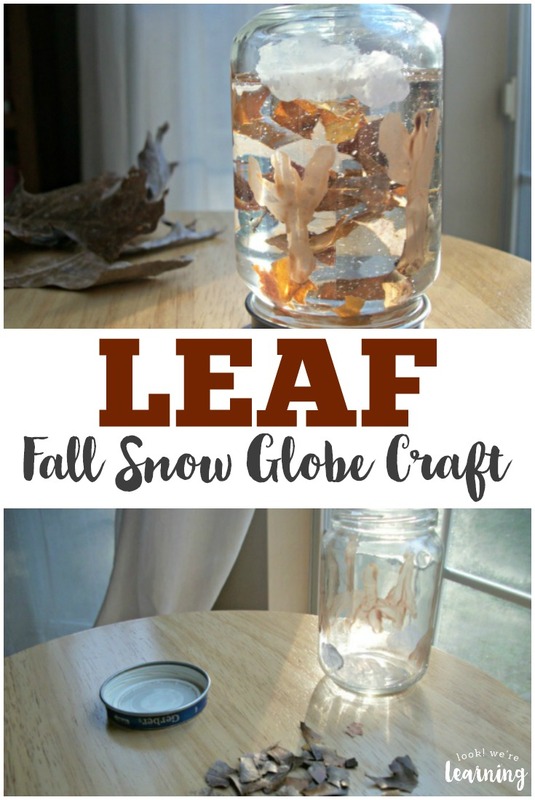 Try our fall snow globe craft or use our leaf identification flashcards to go on a leaf hunt! 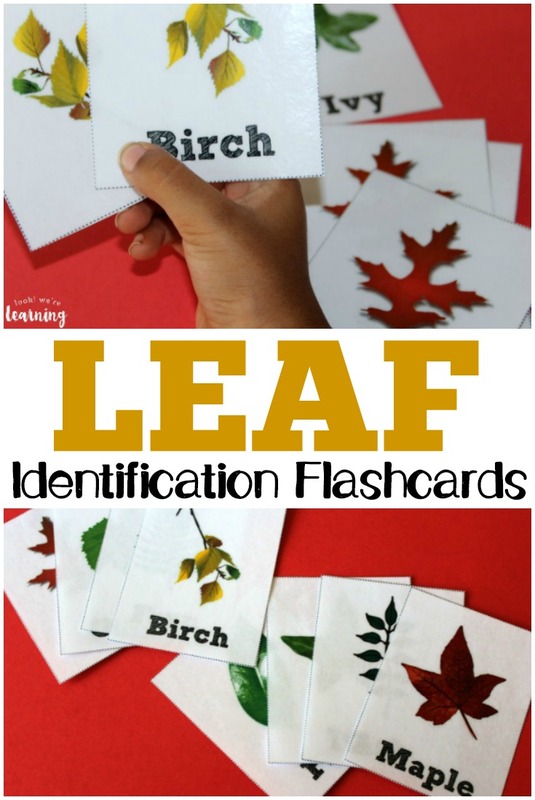 And don’t miss our All About Leaves printable pack for more leaf learning! Just a quick note: This was the kids’ first time working with acrylic paint, so they were kind of surprised by how it moves on the paper. 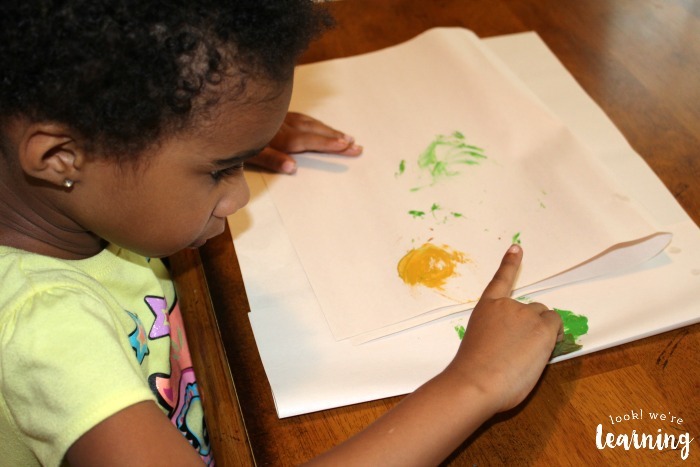 If your kids like tons of paint, definitely try tempera paint instead. I asked everyone what colors they wanted to work with and we got started! 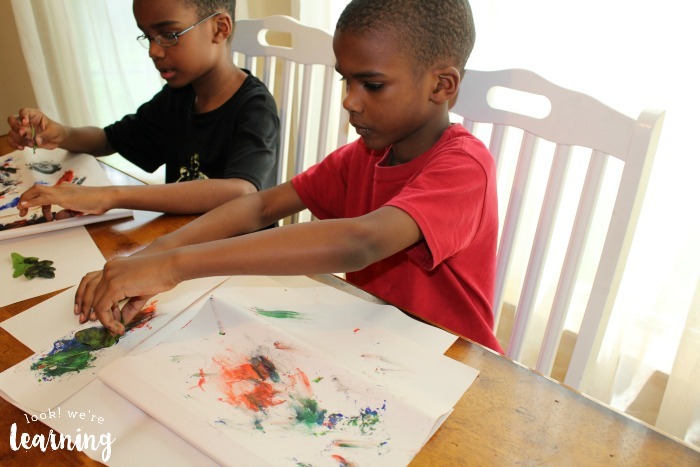 We put down two pieces of drawing paper – one as the “canvas” and another as the splat mat, plus paint palette. I just squeezed a bit of each color on the side. 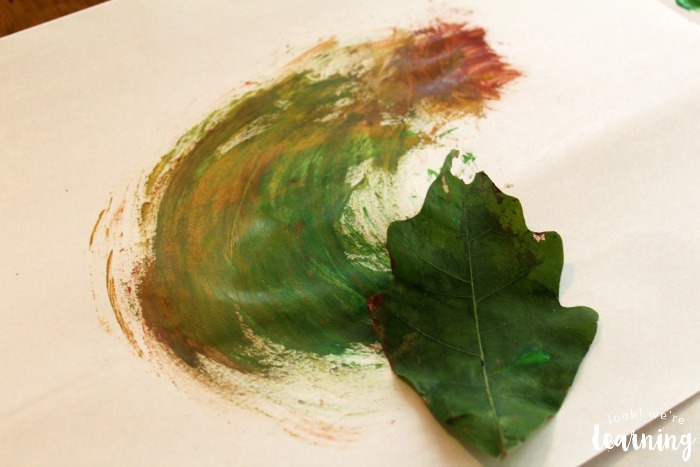 This whole activity took maybe 15 minutes, but it was such a neat way to try art while using nature! After we painted for a while, we started experimenting with printing. And that was even easier, since all you have to do is spread enough paint on the bottom of your leaves and then press them down. 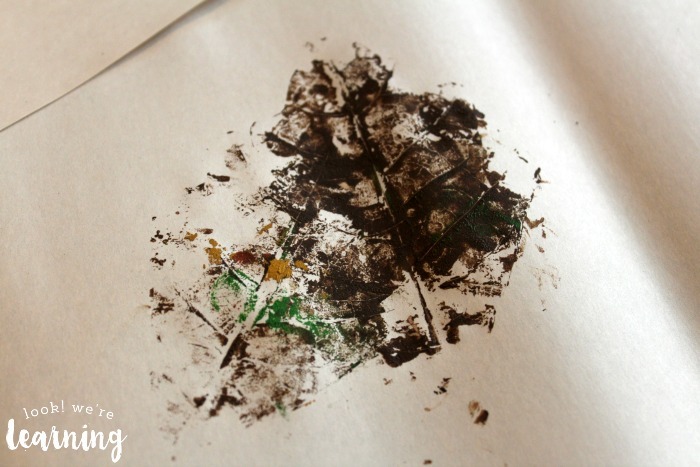 Lift them up slowly and you get a lovely leaf print! 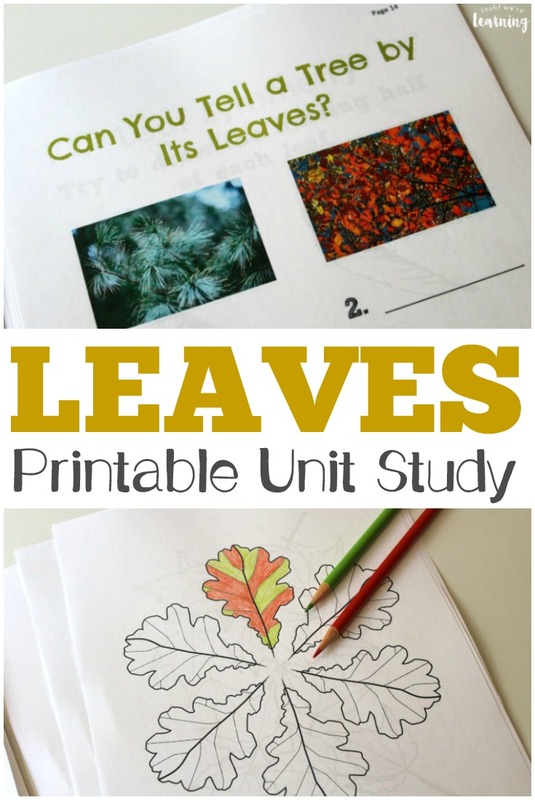 Have even more leaf fun this fall with these posts! Follow my Fall Activities for Kids board on Pinterest for even more fall ideas! And get more fun learning ideas and crafts for kids when you sign up for our email newsletter! Subscribe using the widget below. 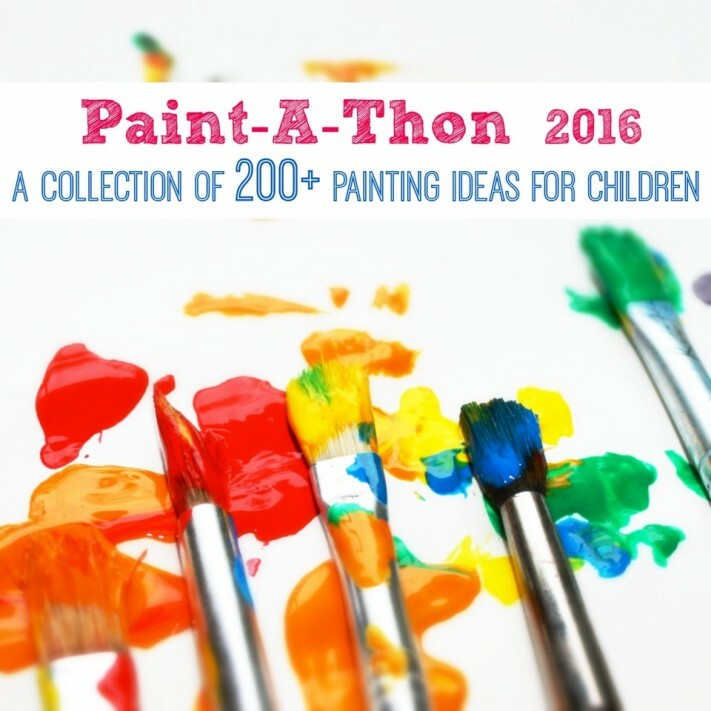 This post is part of Paint-A-Thon 2016 – a collection of more than 200 painting ideas for kids! 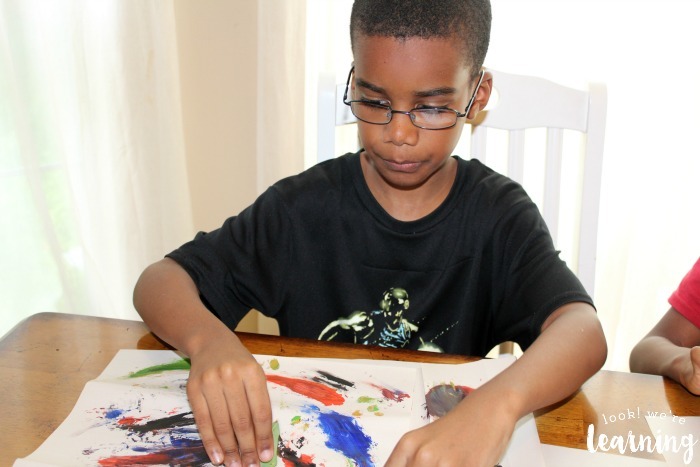 Stop by to get tons of art inspiration for your kids! Wonderful! I love nature art! This is such a neat little project! I can’t wait to try this out with my 4-year-old in the fall! Thanks so much for the idea!